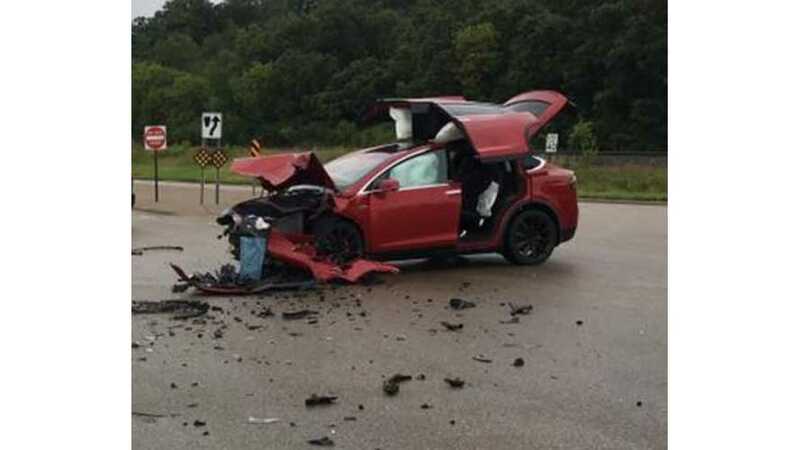 Minnesota surgeon, Jonathan Braman, was driving his Tesla Model X with five other family members and their dog. Seemingly out of nowhere, a GMC Yukon driver ran a red light and hit them. Fortunately, everyone was just fine. The enormous Yukon SUV was traveling at 45 mph and the driver was obviously distracted. He took off much of the front end of the Model X. The Tesla's substantial system of airbags, including leg airbags, wrapped a protective cushion around the family and kept them all safe. The vehicle crumpled where it was supposed to and maintained passenger clearance at the impact points. Since the vehicle doesn't have an engine, there is more adequate space for crumple zones. Only Braman's father, who was sitting up front nearest the impact point, had to make a quick visit to the hospital. He was released without issue. Braman, being an orthopedic surgeon by trade, knows all too well what can happen as a result of these crashes. He is very thankful that he chose a vehicle that would protect his family. 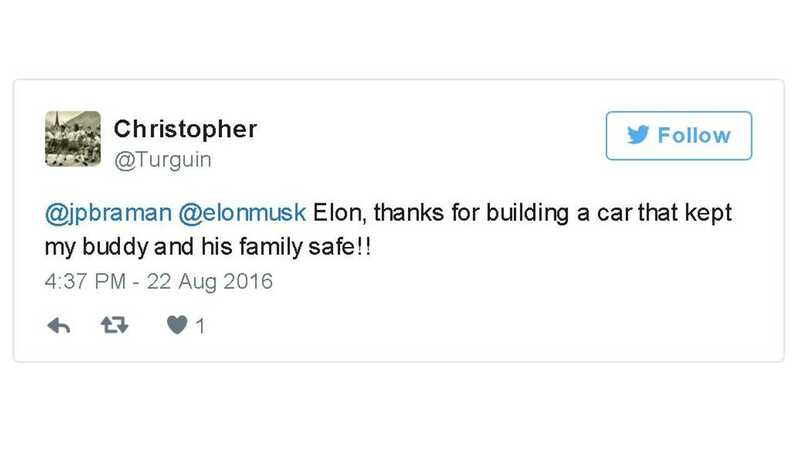 He Tweeted a thank you message to Elon Musk. Musk has touted that the Model X may be the safest vehicle ever built. Braman also pointed out that the type of crash would usually roll an SUV like the Model X, or spin it in circles. Due to the weight of the battery, added to the fact that it is distributed evenly beneath the vehicle, this is less likely in a Tesla. 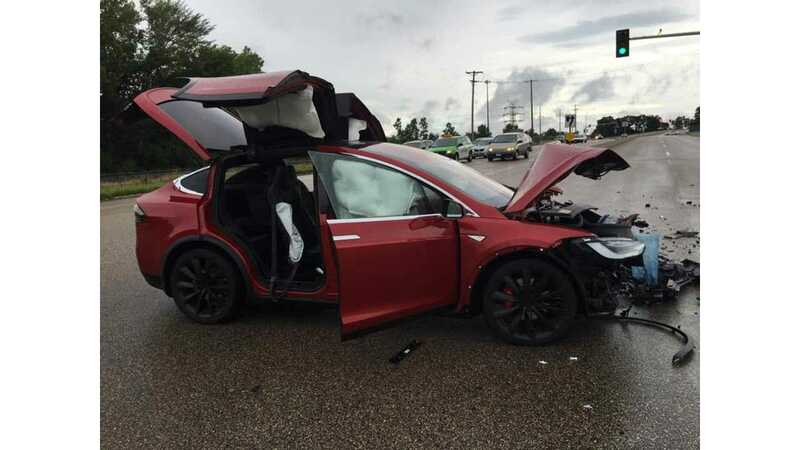 Tesla has failed to make the vehicle rollover in its testing and the company believes that when tested by the National Highway Traffic Safety Administration, it will be the first SUV to achieve 5-star ratings in all safety categories.